Here are a selection of our displays that we create throughout the year. For St David's Day we have been very creative. 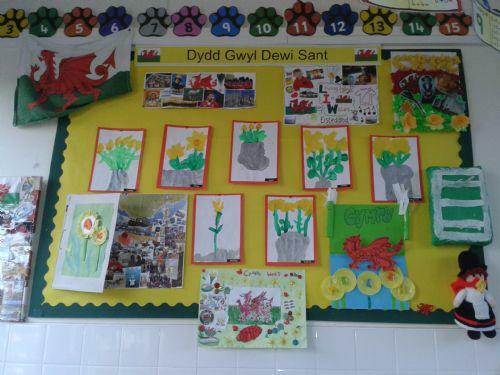 We have made Welsh cakes, learnt traditional dances, sang songs, painted daffodils and we also made collages for homework. Here is our display of some pieces of work that we are extremely proud of. The children have been learning all about the celebration of the Chinese New Year. 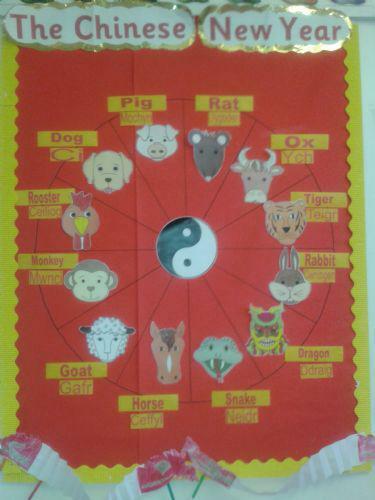 Here is a display of the Chinese Zodiac animals that the children have been learning all about. 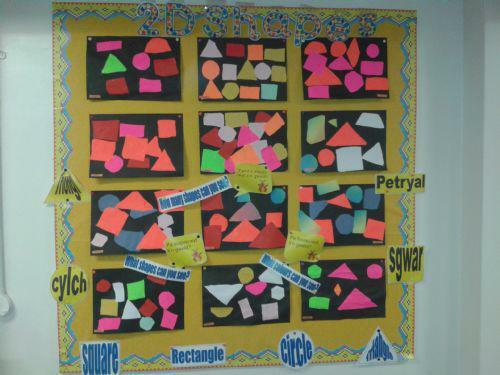 On the topic of shapes, Year 1 have been drawing around some 2D shapes on coloured paper and cutting them out. They have glued these different shapes onto black card and created shape collages. We have been busy painting our hands in many different colours. We printed them onto coloured paper and backed them. We also used glitter and sequins etc to decorate them. 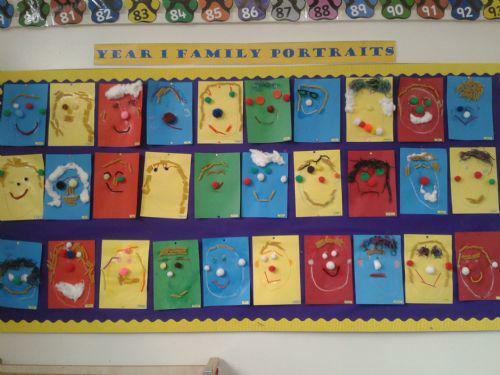 Once dried we threaded them all together using coloured pipe cleaners to create a Year 1 family wall hanging. 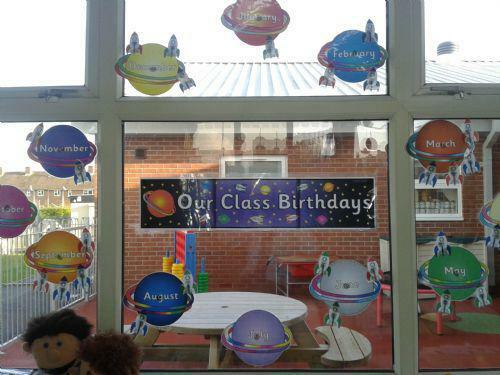 Last month the children organised themselves into groups of which month their birthday belonged to. Our timeline of birthdays kept falling down, so we created a chart of birthdays using planets and rockets instead, and this is the outcome. Here are our finished 3D clay models of ourselves and some family members. We moulded these figures out of clay, we added features to them such as eyes, mouths and hair. When they dried we painted them. They look absolutely fantastic and we are very proud of them! This is our first display. We created 3D self portraits. The children used mirrors to see themselves. They described their features and tried to replicate them using the materials from our classroom.